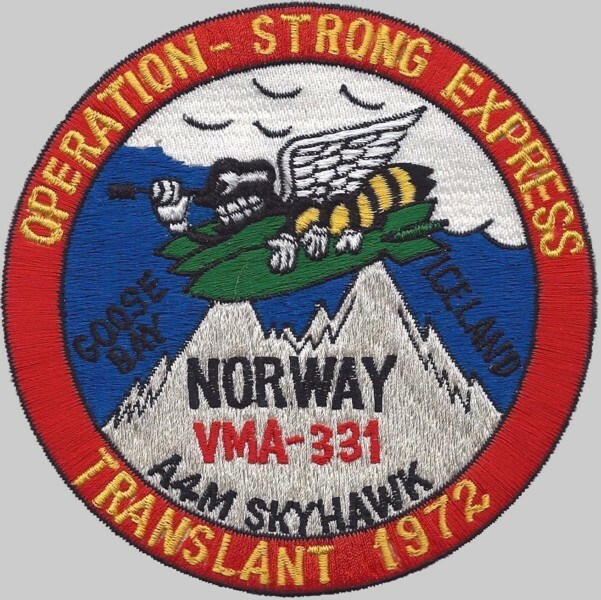 reactivated as VMA-331 circa 1954? 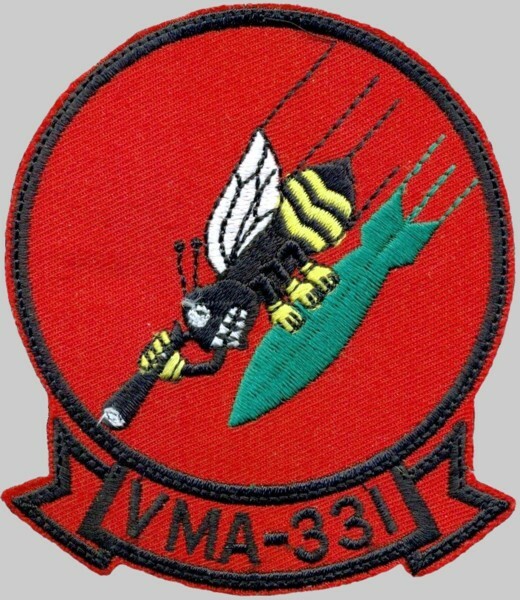 Marine Attack Squadron 331 (VMA-331) was an attack squadron in the United States Marine Corps. 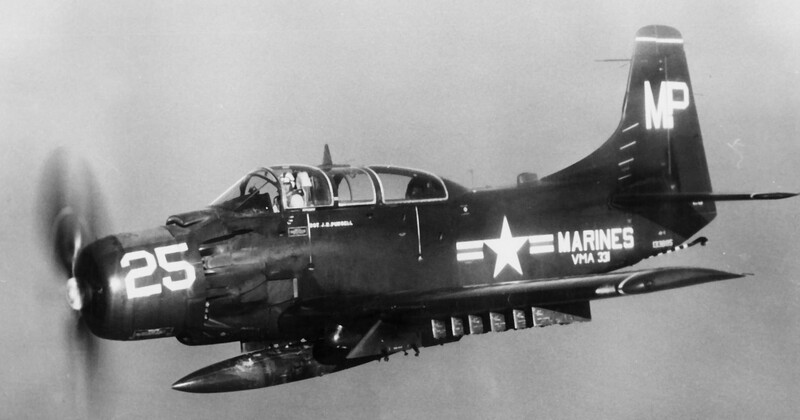 The squadron, also known as the “Doodlebugs” and “Bumblebees,” was part of Marine Aircraft Group 32, 2nd Marine Aircraft Wing and were based out of Marine Corps Air Station Cherry Point. 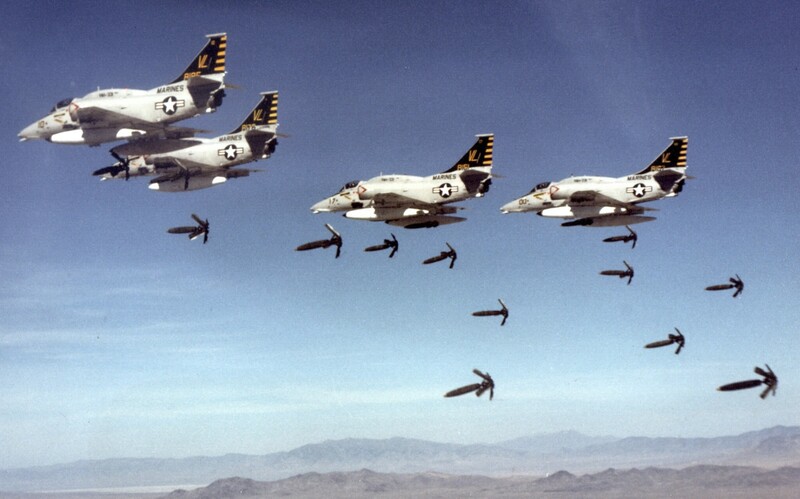 They squadron fought in World War II and Operation Desert Storm. They were deactivated as part of the post Cold War drawdown of the US Military on October 1, 1992. Marine Scout Bomber Squadron 331 (VMSB-331) was formed on January 1, 1943 at Marine Corps Air Station Cherry Point, North Carolina. The squadron flew SBD Dauntless dive bombers. 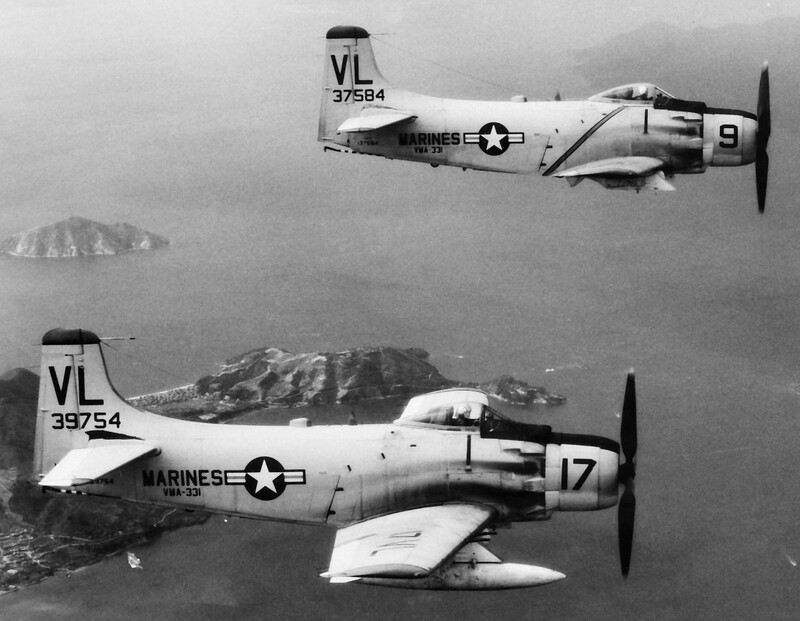 On June 1, 1943, the squadron's personnel and aircraft were divided to form VMSB-332. Also in June of that year they were moved and became the first squadron to arrive at Bogue Field, North Carolina. This was followed by a move to San Diego in September to prepare for movement to the South Pacific. The squadron deployed overseas, finally arriving at Nukufetau Airfield on November 15, 1943. They operated from that island during the invasion of the Gilbert Islands. On November 30, 1943 they sent a detachment to Tarawa to aid in patrol operations until December 26, 1943. 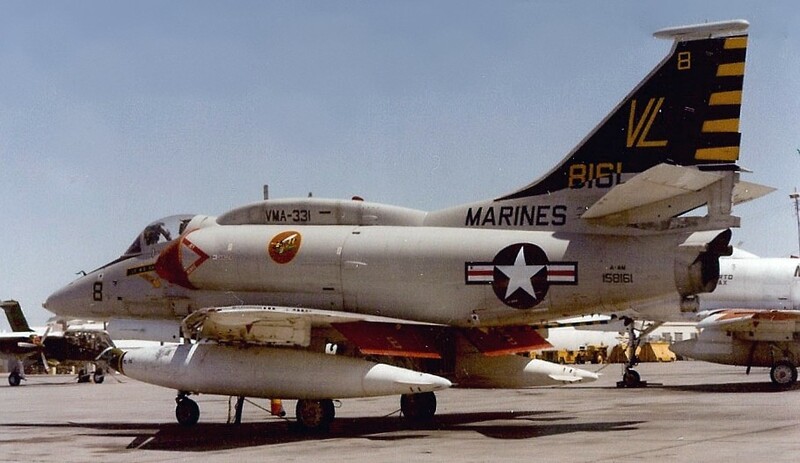 In October 1944, the squadron was redesignated Marine Fighter Bomber Squadron 331 (VMBF-331), but they reverted to VMSB-331 on December 30, 1944. The squadron remained the Pacific and carried out air strikes against by-passed Japanese positions in the Marshall Islands for the remainder of the war. Following the war, VMSB-331 returned to the United States in October 1945 and were deactivated quickly thereafter on November 21, 1945. 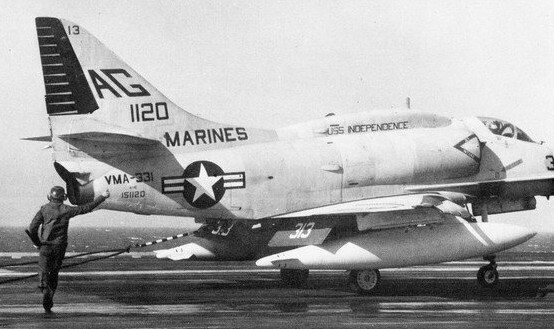 In 1959, VMA-331 was the last squadron in the Marine Corps to deploy overseas while flying the A-4D "Skyhawk". VMA-331 deployed to Guantanamo Bay, Cuba during the Bay of Pigs Invasion and Roosevelt Roads, Puerto Rico during the blockade of Cuba. 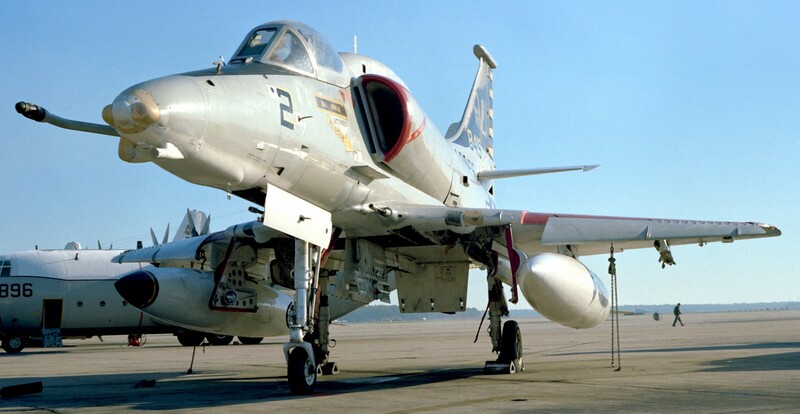 Two Skyhawks were lost during a two plane section take-off the day the squadron left MCAS Beaufort for the Caribbean. A very gusty cross-wind blew the lead aircraft into the wingman. 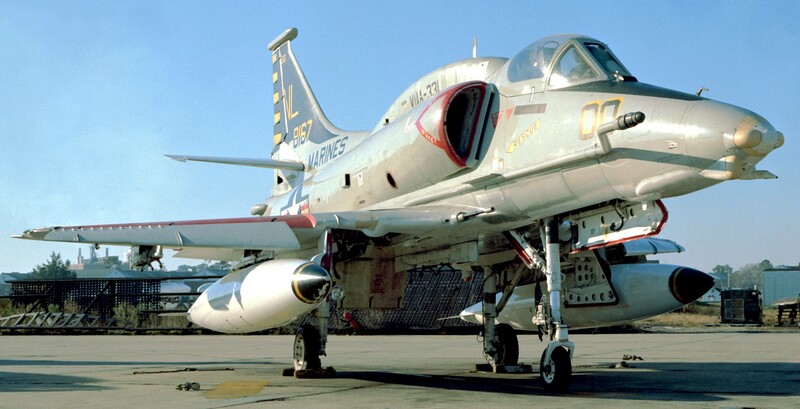 At Guantanamo Bay, a Skyhawk making a low-level practice gunnery run hit the base perimeter fence. Another Skyhawk had a flameout when turning base on approach into Beaufort, South Carolina. 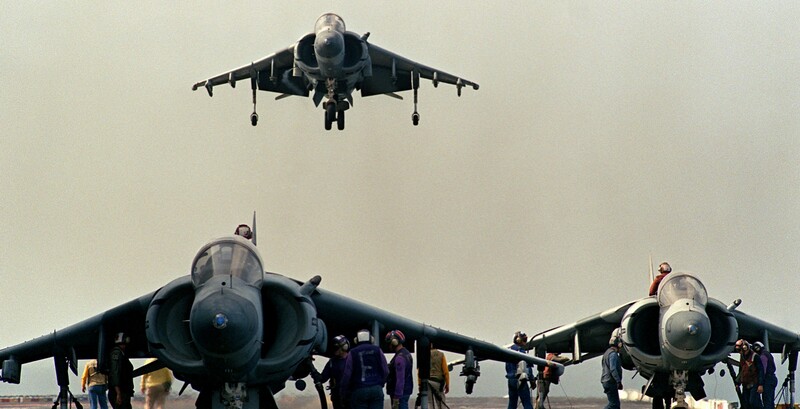 On January 25, 1985, VMA-331 became the first fully operational AV-8B Harrier II squadron in Marine Corps service. The squadron deployed on the USS Nassau (LHA-4) to the Persian Gulf and eventually flew 243 sorties, dropping 256 tons of ordnance, and became the first Marine Attack Squadron to conduct combat operations from a Landing Helicopter Assault ship. 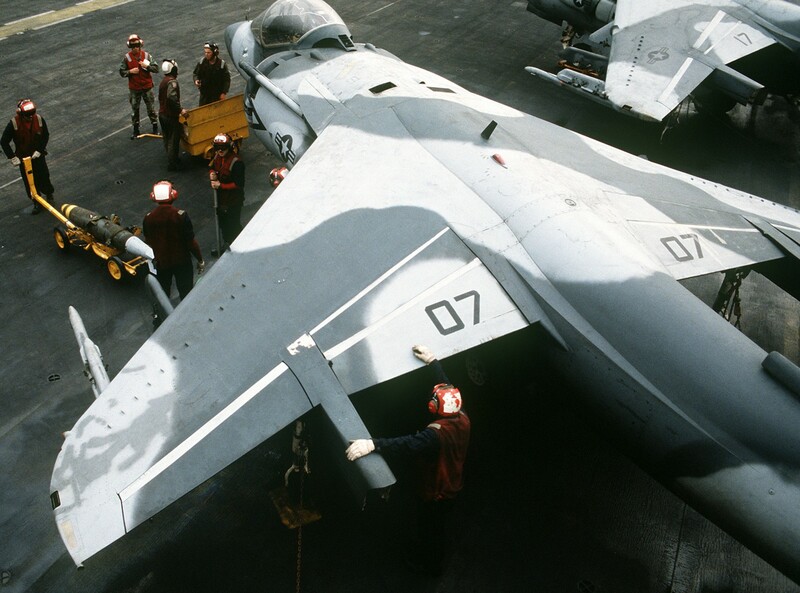 While supporting Operation Desert Storm, an AV-8B Harrier II from the squadron was shot down by an SA-7 over Safwan, Iraq on February 27, 1991. The pilot, Capt Reginald C. Underwood, was killed in action.